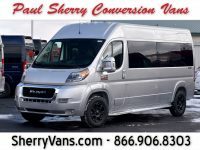 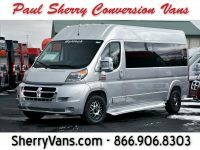 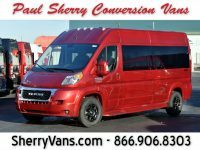 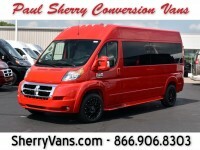 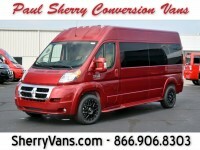 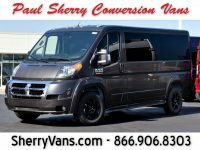 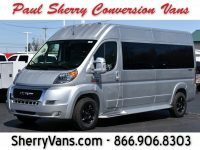 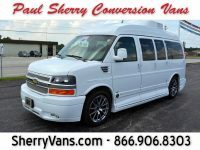 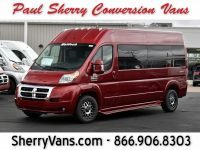 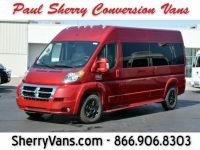 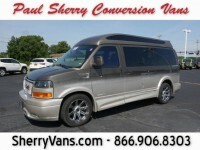 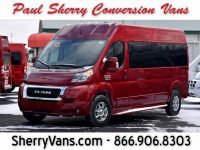 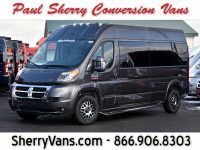 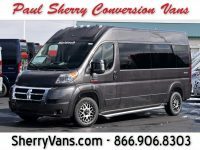 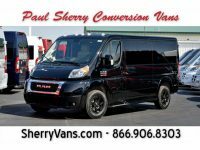 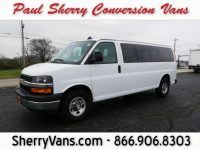 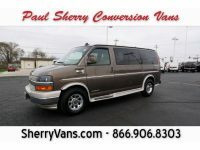 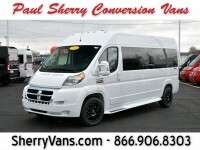 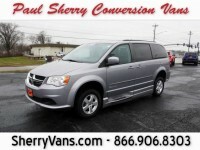 Paul Sherry Conversion Vans is the country’s leading conversion van dealer. 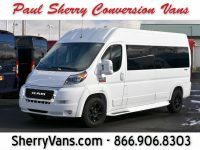 Our dealership’s inventory consists of new conversion vans (RAM ProMaster Passenger Vans), and a large selection of used conversion vans for sale. 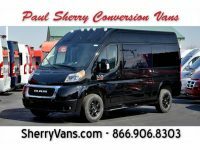 To compliment our conversion van inventory we can provide complete financing options, deliver any purchase nationwide, and even take your current van on trade. 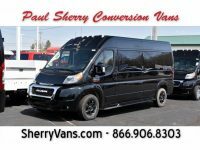 When you browse our online inventory or visit our dealership to view the options on our lot, you will notice dozens and dozens of new conversion vans to choose from. 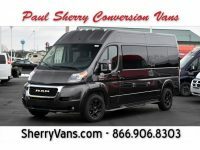 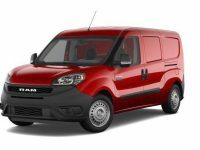 You can choose your favorite model; most of our new conversion vans, however, tend to be based on the RAM ProMaster thanks to its list of best-in-class features. 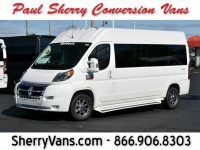 Most new conversion vans seat seven or nine passengers, but there are also mobility vans and those that seat 12 passengers. 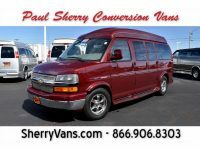 With a new conversion van, you can rest assured that you know the vehicle’s entire history since it does not have any yet. 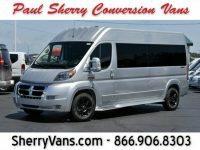 You will be able to customize the vehicle how you want and count on it to run for years to come. 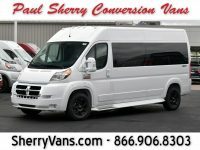 Also, you can take advantage of the new vehicle warranty. 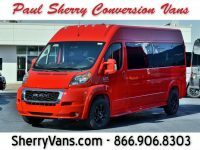 For those who do not need to be the first time owner, we also have an extensive selection of used conversion vans available. 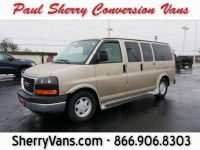 There is a similar range of vehicles in our used lineup as our new one. 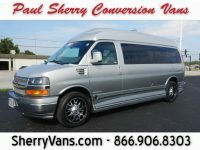 We have less control over what will be available at any given moment, though. 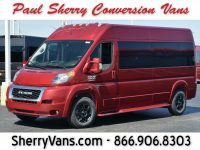 No matter your favorite brand, there is a good chance that we have one of their conversion vans on our lot, with offerings from GMC, Ford, Chevy, Dodge, RAM, and more. 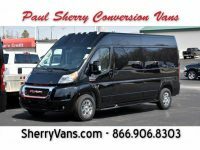 Find options for 7, 9, or 15 passengers, or a mobility van. In addition to offering both new and used conversion vans with a range of seating capacities, we have vans from multiple converters. 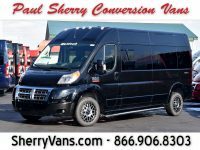 You can find conversions by Sherry Vans, Waldoch Galaxy, Explorer Vans, Southern Comfort, Prime-Time, Chariot, BraunAbility, and more, depending on our current inventory. 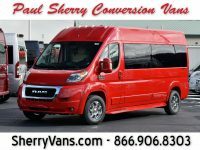 Every converter is slightly different, even in models that aim to achieve the same goal. 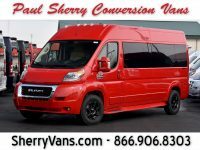 By offering vans from multiple converters, we can appeal to the tastes of all drivers. 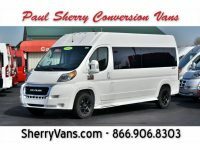 With our selection of converters, we are better able to offer conversion vans that suit a range of purposes. 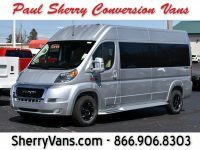 Between the converters and the different conversions each one offers, you can choose the interior layout that is best for you. 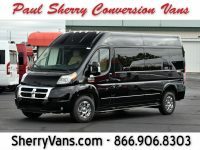 Whether you need an airport shuttle for a hotel, a van to move your office staff to meetings, a limo van for special occasions, a mobility van, or something else, we can provide it. 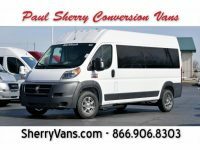 At Paul Sherry Conversion Vans, we strive to ensure that those around the country are able to drive their own conversion vans. 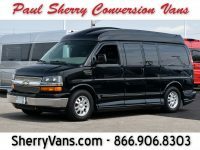 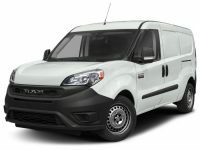 Since many areas of the country do not have access to a dealership with these vans, we offer delivery to all 50 states. 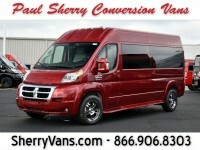 No matter where in the country you live, we can work with you to complete the purchase seamlessly from afar. 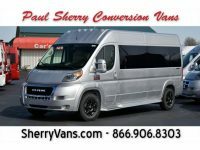 Those who choose to have their conversion van delivered will still have the opportunity to ask us as many questions as they need. 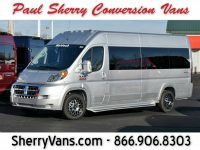 Between our live chat online and phone conversations, we are readily available to assist you. 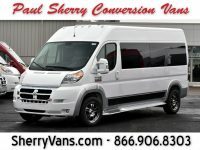 We can give you the exact cost for delivery if you contact us with your destination. 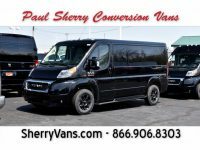 This way, you do not have to worry about how to get your conversion van home if you live on the other side of the country.